Well the year is coming to a close and for these 6 grads, so is a whole chapter of their lives! 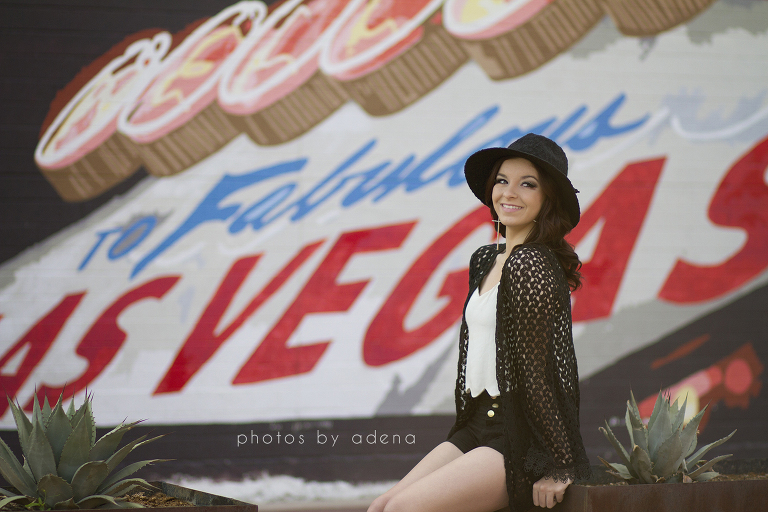 I was so excited when I had the chance to go back to Las Vegas to shoot some of the seniors that I’ve known for years. 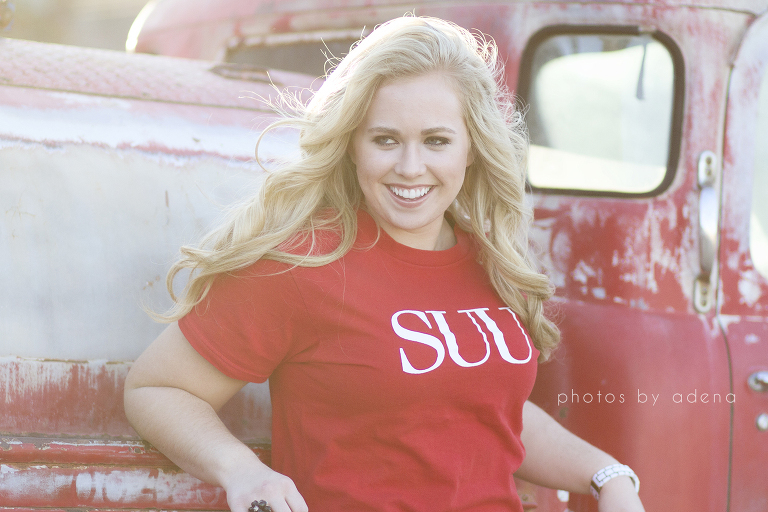 I was in town for 7 days and got to photograph 6 AMAZING seniors, 2 families and even snuck in a boudoir shoot. It was intense and crazy and insanely perfect. If you’ve been on a shoot with me at sunset, I’m almost positive you’ve seen the excitement on my face when I break out my flashes. Now, let me first say, I am a natural light photographer, for the most part. I love playing with the light that is available, pretty much the only thing in my life that I don’t demand control over. Well, mostly because even if I demanded it, the sun would look at me and laugh. Anyway. I love the delicious light as the sun is setting. Backlit beauty, then a perfect skylight that lets you do whatever needs to be done. But then something happens. The sunset turns gorgeous and all I can think is…I’ve gotta get THAT! So, for years now I have been breaking out my flashes and hoping that the built in remote part of my camera will tell my flashes what to do. Asking senior moms to hold them just right for me, balancing them on stumps and of course reminding everyone that their patience will be worth it. Sometimes it works, sometimes it doesn’t. I think some of my clients will vouch for all of that. Well, now that I have my Mother’s Day present (THANKS TRAV! ), it will ALWAYS work!!! I have the tools to catch something so different and incredibly awesome. I LOVE IT! So, since this isn’t my typical “style”, I thought I would convince my blog followers to be as excited as I am! Granted, all of these pictures are before I had the right tools to make this happen. Just a hope and a prayer and very patient, trusting clients. I think the proof is in the pudding. Note: None of my shoots are EVER more then 90 minutes, so what you see here is natural light and then off camera flash at the end of the shoot, really within minutes of each other. In love yet? Now don’t worry, I’m not changing my style or going flash crazy. I just LOVE that a few tools can help me give you something unique and a completely different feel then the rest of your shoot. Oh and I love that we can capture those sunsets. What do you think? As excited as me? 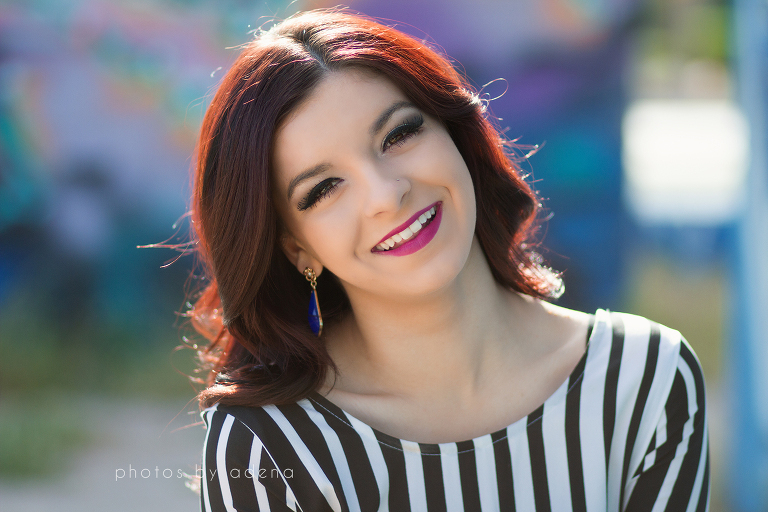 You was highly recommended by Deidre Reis to do my daughter Senior Portraits; Class of 2016 from Coronado High School. I am looking definitely for a sunset shot along with my daughters request to possible do it at the Gilcrease Orchard here in Las Vegas? We are originally from Hawaii and love anything outdoors. What?! A blog from Adena NOT about photography. Oh dear I hope she’s ok.
Let me just tell you, I am more then ok. Colorado is starting to give us more gorgeous days then gloomy and all I want to do is BE OUTSIDE! The Rossiter family was in major need of a table and chair set without breaking the bank. A trip to Ikea found us the perfect table. Two thrift shops and a Hobby Lobby run (or 2) later I got to work. Thanks to some help from my parents (motivation for their visit, brainstorming with mom about colors, and dad running the drill) I actually ENJOYED this project. So much so that I wanted to show it off! I guess you could call this my first official repurposing project! Colt approved. So what’s next you may ask? A fairy garden of course! great job! love the colors!! A sweet, dear friend of mine recently sent me a box of goodies and in it was a canvas print that says “Find joy in the journey”. At the time, I thought it was a perfect saying to describe the past 6 months of my life. Then a couple of weeks ago, a good friend and I started reading a book called “Restless” by an amazing, passionate author named Jennie Allen (we are only half way through the book right now and I already recommend it to anyone who likes to dream big, like myself). In the book Jennie says, “…eventually, our minutes and days equal our lives.” Her goal is to take her readers to a place “where no life or minute or breath ever feels small again.” It is so easy to look forward in life and not look around at what’s happening today. There always seems to be some sort of goal we are trying to reach, and in the meantime other amazing moments are slipping away. I think I’ve blogged about this before focused on my kids…man how time flies. But it really is meaning so much more to me everyday. I’m sure you can insert your own phrase here: “When we pay off the credit card…” “After I get married…” “Well, once we buy a house…” “When I lose some weight…” “I think once the kids are both in school…” “I can’t wait until my business grows.” (I think I said that one). You know what I’m getting at. But what is happening today? I was chatting with my best friend about things going on in her life. Her and her husband recently moved back home after his time in the military. Their first goal, buy a house. Until then they are staying with family. The struggle of not letting the thought of their future home consume them hasn’t been an easy one. But the moments when they take a second and look around they find joy in the journey. They see a nephew that seems to grow bigger every minute and gets to spend time with his aunt and uncle everyday…they see a sister whose baby bump is appearing and their excitement grows with what is to come. They see mornings with quick coffee and “Have a good day!”s…tired evenings after work relaxing with the family and weekends with easy access to the people that mean the most to them. Now, in no way do those amazing moments take away from their goal. The goal is still there, but when they look around, so is the joy. I see this so often in soon to be moms. OH, the excitement and anticipation that they feel. That baby could not come out fast enough. Granted, there are some fears…of the unknown, of the sleepless nights, getting peed on. But all in all, those momma’s arms are aching to hold her sweet baby. But what about the first time you hear their heart beat. Or the first time you feel them kick. Or even the first day that you DON’T throw up. Those moments are moments we would never exchange. I guess since this is a photography blog I should throw some pictures in at some point…this was a good lead up to this amazing couple I met here in Denver! When they contacted me for maternity pictures I was so excited they were willing to brave the cold to capture this precious time before Davis comes (we actually ended up with gorgeous Colorado weather). We started at a park and ended in an ally, all within a few blocks of each other. I was in heaven! I love couples who are so natural together…nothing is forced! You’ll get to see 2 couple like that in this blog! These are the types of people that, even if just for a moment in their crazy lives, have found joy in the journey. As most of you know, before I moved I handed off my maternity and newborn shoots to the amazing Essie Rose Photography. When I was looking for other maternity pictures that I would like to share I came across a shoot I did with some great friends of mine a while back. I can’t believe I never shared these! I guess you’ll get to see the difference between a winter Denver maternity session and a summer Vegas maternity session ha! This is a quote that I have recently been living by. Sometimes its crazy to look back a couple years, a couple months even, and think about where I thought we would be today. Our big move to Colorado snuck up on us. In 8 weeks, our lives changed drastically. We moved away from friends and family. We moved to a place where it snows. Its. Real. Cold. Now we’ve been here for over 5 months and things are finally falling into place! We had plenty of nights wondering “What in the world were we thinking?” but we are always reminded that the road that brought us here is a road we chose to be on for many reasons. My apologizes for neglecting the blog as of late, but I’m back! I’ve got some great things planned for Photos by Adena AND Blush & Tease in 2014, mainly, restarting my business ha!